That's what happens if ender dragons can multiply and gradually capture your world. This addon adds small ender dragons that are the offspring of large dragons that live only in the End and do not go to the surface. Children dragons differ quite strongly from their parents and that's why. 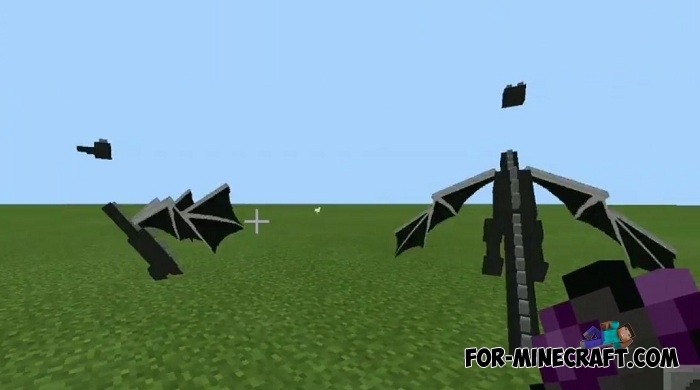 First, the baby ender dragons are of two kinds and they both live in caves in the upper world of Minecraft BE. The first kind is always neutral to other living beings but can not be tamed. The second one is aggressive and more powerful so now you need to prudently explore the caves in MCPE. Secondly, the babys drop quite useful things. Killing one you can get a pair of diamonds and also an ender pearl if you are lucky. 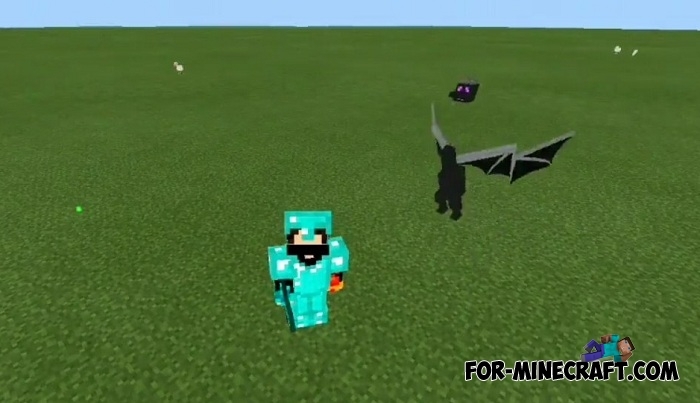 Either way, this mini ender dragon can be considered a lightweight version of the bosses who are not so strong but can easily destroy an untrained player. How to install the Baby Ender Dragon addon?